Mind over matter! And robots? Advanced prosthetics hook up a robotic limb directly to your brain. Though still rudimentary, researchers hope to restore natural movement, and even touch, to amputees. But can brains really adapt and control this new machinery? Meet Nicho Hatsopoulos and his team at the University of Chicago Medical Center. They studied rescued monkeys that had lost limbs in injuries. 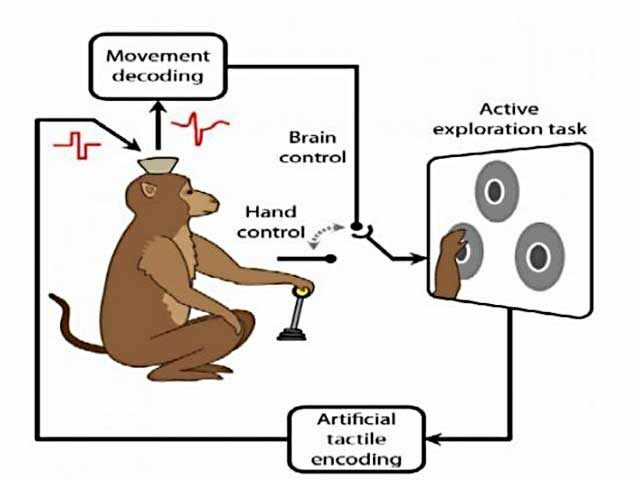 The monkeys were taught how to control a simple robotic arm. Robot control chips were placed on their brains two ways. Either on the same or the opposite side of the injury. See, the left half of the brain controls the right half of the body. And vice versa. So when opposite sided chips worked fine, no one was surprised. But SAME sided chips also worked fine! That half of the brain was pulling double duty. Controlling the new arm and the still intact one. This shows that brains are remarkably adaptable. Even to tasks they were never meant to do! Now if only the left side of my brain could tell my right arm where I put those car keys!